Major global clothing brands that source from Cambodia said Tuesday that supply disruptions and consumer reaction to the arrests, beatings and fatal shootings of garment workers could hurt future growth and put the country’s status as a “strategic sourcing market” at risk. The stark warning from delegates representing 30 brands and trade unions visiting the country, including H&M and Levi’s, comes as factories claim that most brands have already started scaling back orders. 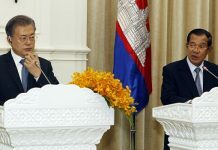 The brands and unions are in Cambodia to follow up on a visit they made in February, a month after military police shot dead at least five garment workers striking for higher wages. Twenty-three workers and activists were also arrested for allegedly turning the protests violent. Representatives of the brands and unions met with the government’s top labor and commerce officials on Monday and warned in a joint statement Tuesday that the industry was at a tipping point. 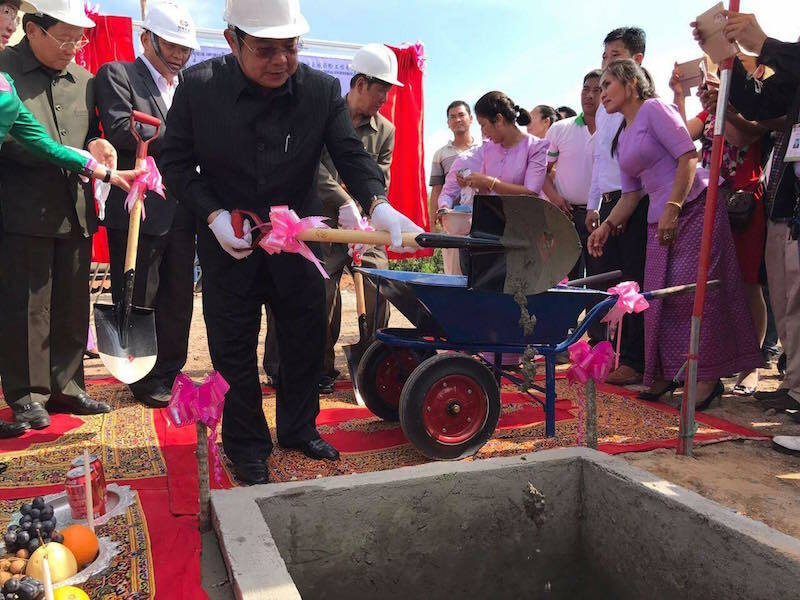 “Due to reaction of consumers and the disruption to production and shipping caused by continued unrest, Cambodia was at risk of losing its status as a strategic sourcing market, with an impact on future investment and growth,” they said. The garment trade added a critical $5 billion to the country’s gross domestic product last year. 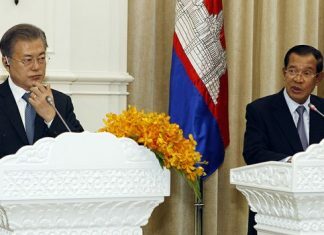 It accounts for 80 percent of all exports from Cambodia, and provides more than 500,000 jobs in a nation of 15 million. In their statement, the brands and unions said they told the government that the court verdicts for the 23 men arrested in January—due to be handed down on Friday —must rely on evidence, and that those who shot dead the garment workers on January 3 must be brought to justice. They said peaceful strikes and protests should not be met with state violence, and that anti-union lawsuits should be dropped. The brands also offered the government and factories some help. On Monday, some of the brands offered to raise the prices they pay factories so that workers’ wages can be raised. But after meeting some of the brands on Tuesday, Ken Loo, secretary-general of the Garment Manufacturers Association in Cambodia (GMAC), said the commitment of a few buyers would not be enough to allow factories to raise the monthly minimum wage much past $100, the current rate. “If we pay the workers $160, but the buyers don’t pay us the same amount, where [will] we get the money?” Mr. Loo said after the meeting, speaking with reporters. Mr. Loo said GMAC asked the brands which of them were ready to raise their prices. 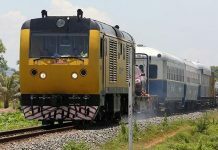 According to IndustriALL Global Union, which counts several local unions as affiliates, one of the major brands here this week has already cut its orders from Cambodia by 50 percent over the past year because of instability and rights violations. Mr. Loo claimed that the majority of brands are now cutting back on orders, both because of uncertain supplies and fears about the hit their reputations would take. His figure differs sharply from official numbers from the Ministry of Commerce, however, which indicate that year-on-year garment exports during the first quarter were up 7.4 percent. Year-on-year garment exports for April were also up 18.3 percent, according to the ministry. Asked about the discrepancy, Mr. Loo said he drew on the ministry’s export figures for his numbers, but added that the numbers he offered might not be complete. Mr. Loo would not name either the brands that have cut back orders or those that offered to raise prices to make room for higher worker wages. IndustriALL General Secretary Jyrki Raina, who was in Cambodia this week, said factories had to do their part in mending the garment industry’s frayed relations. “For that you have to build trust, and you cannot have trust if the GMAC is supporting court cases, and with them the purpose is to intimidate the workers and their leaders,” he said Tuesday, after meeting separately with GMAC and local unions.